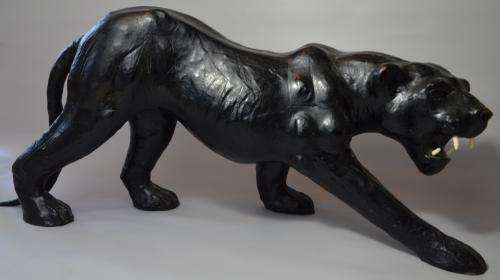 A black leather Panther from the 1950's. Slight wear in places and on the nose. But nothing major, in nice condition. Glass eyes, in a lovely prowling stance.